Hook, Wine, & Sinker: 2 bed / 2 bath. Sleeps 6. You know the feeling, when you know something is just perfect for you, when you know you’ve fallen for something Hook, Wine, & Sinker! 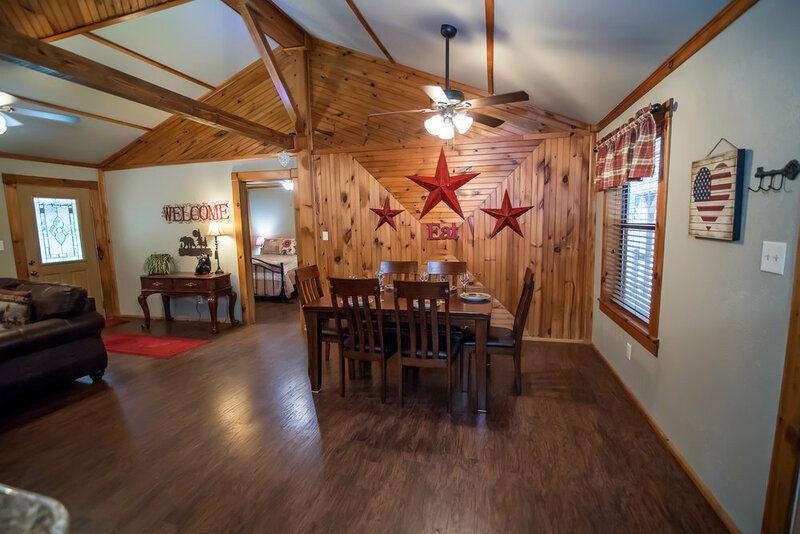 Well get ready, this cabin is ready to make you fall in love with Kiamichi Country. It is the perfect blend of so many of our guests two favorite pass times – fishing the cold clear waters of the Mt. 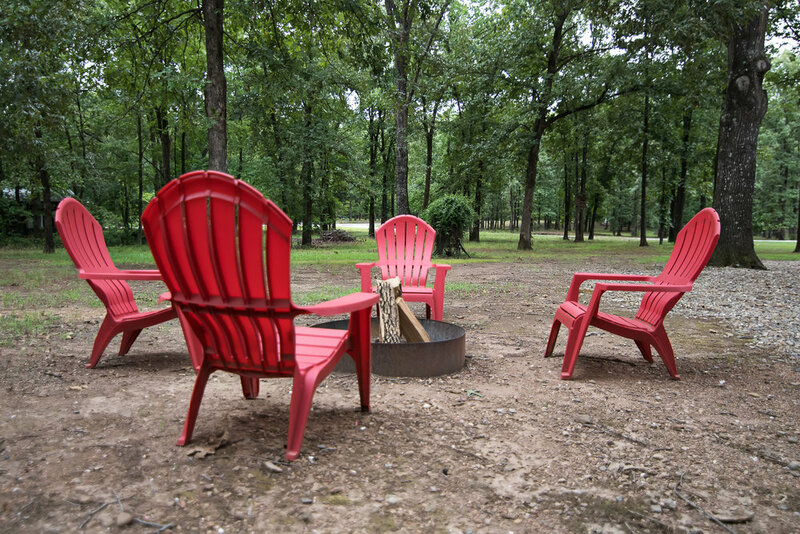 Fork River or Broken Bow Lake and unwinding with glass of something cool and smooth on the deck or in front of a cozy fire. 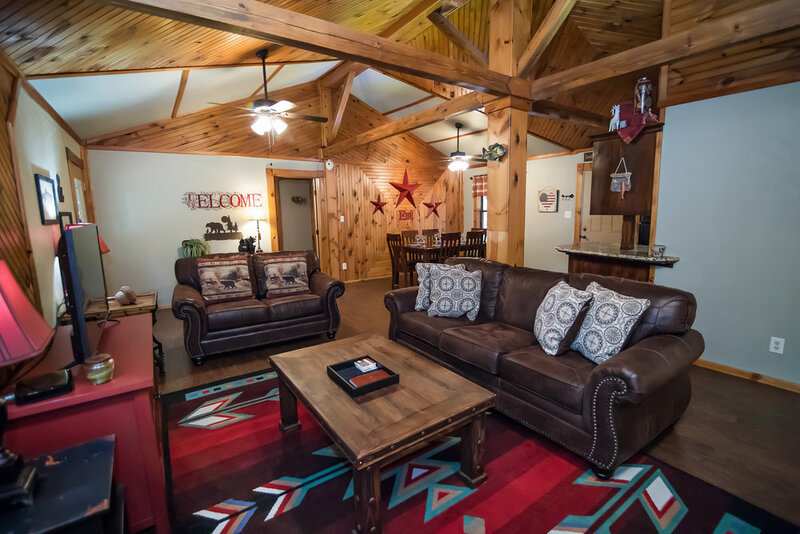 Relax at the cabin, set up to accommodate small families or an adult’s only weekend with another couple. People love the double master suites – no fighting over who gets the good room here. Both rooms feature comfortable beds - a king bed in one room, a queen bed and a twin in the other. The large living room with leather furniture and a charming gas fireplace seem to hit the spot every time. 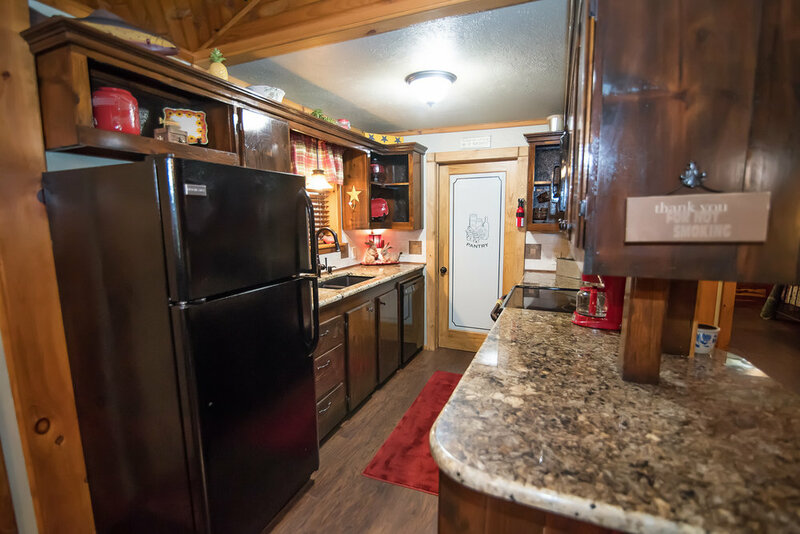 Having a ready to cook kitchen with granite counters, tile back-splash, and new appliances will make preparing meals at the cabin a breeze. If cooking your own meals isn’t your ideal of a dream vacation – Hook, Wine, & Sinker is just a short drive away from a dozen restaurants. If you are looking for someplace to put your feet up and spend the weekend relaxing. 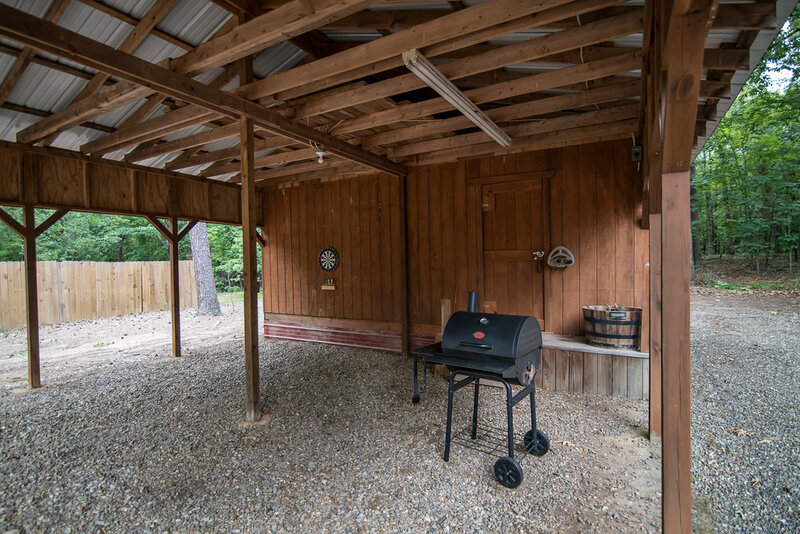 The covered decks on the front and back of the cabin offer plenty of space to enjoy a hot coffee or a cold beer while catching up with friends & family, or catching up on a good book. 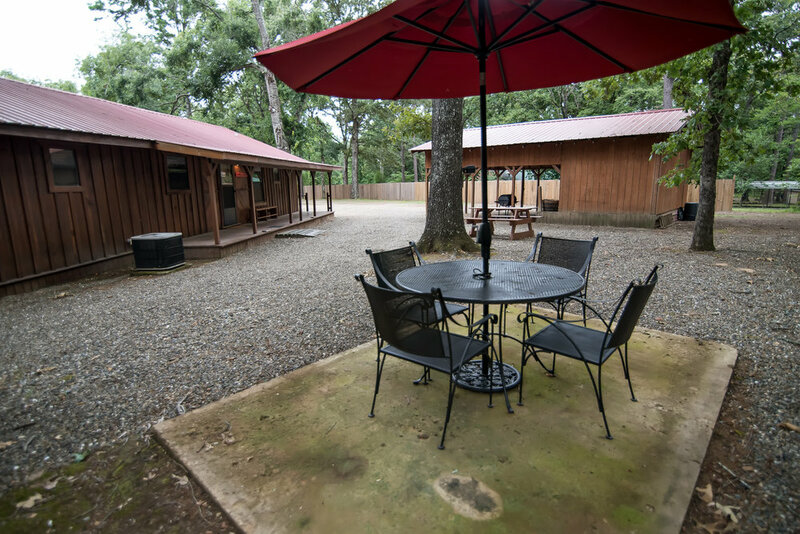 Everyone can enjoy soaking in the private, covered hot tub and hanging out by the campfire. 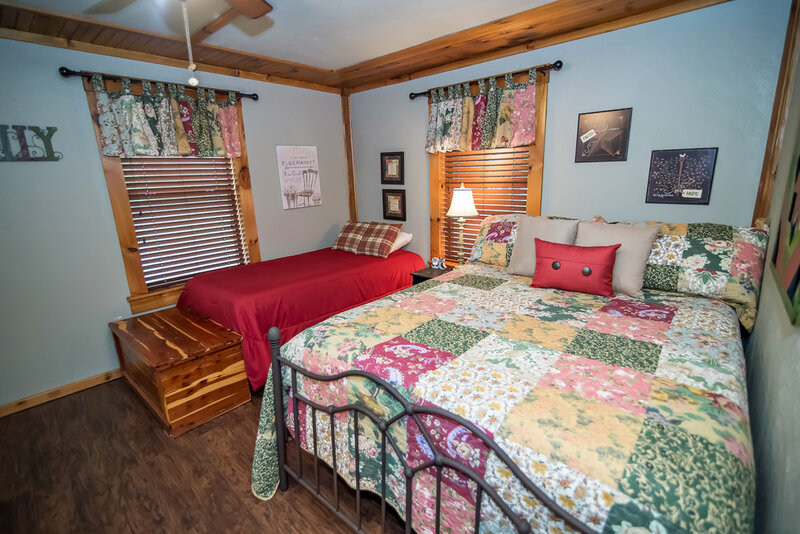 The cabin also features basic amenities like You will love the cable TV, free WIFI, & a washer & dryer. Since you will be ideally located, just minutes from either the best trout fishing in the region or your choice of locally wineries and breweries; you'll be able to grab a couple of bottles, filet a few Rainbows and enjoy yourself Hook, Wine, & Sinker! 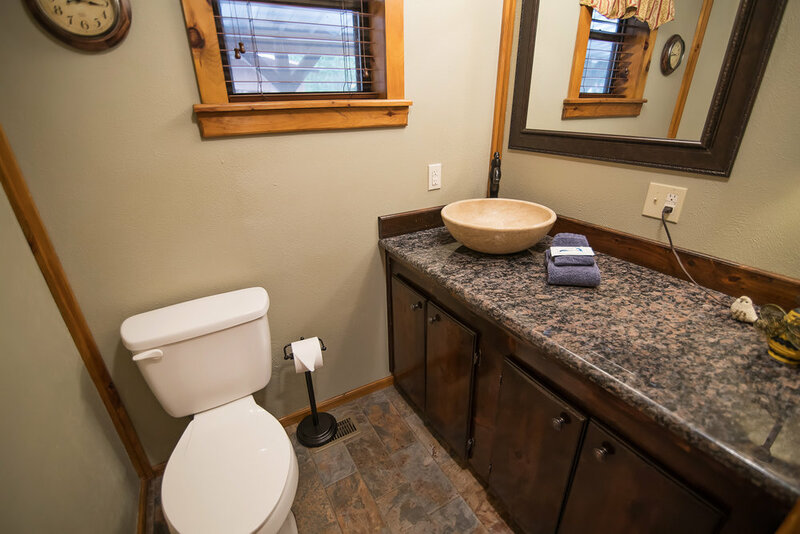 The cabin has a level, easy access parking area, with a covered parking and plenty of room for boat and ATV trailers. The road to the cabin is completely paved.